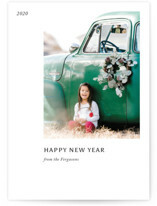 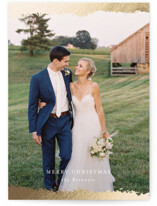 Make a statement with your holiday update by sending a modern holiday card from Minted. 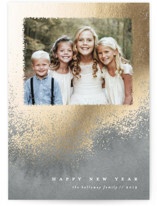 A chic, contemporary style will make a statement on recipient's mantles, and serve as a beautiful keepsake for years to come. 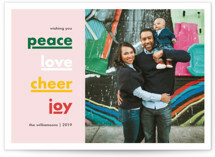 From bold geometric designs, to beautiful typography, and unique illustration, we have the perfect modern design to showcase your family this holiday season. 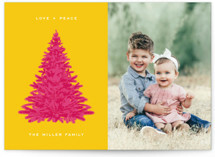 Our luxurious, contemporary holiday cards were created exclusively for Minted by our talented community of independent designers. 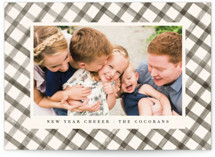 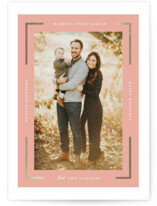 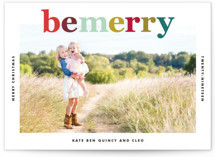 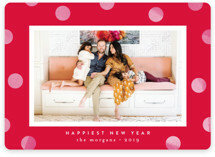 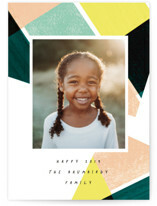 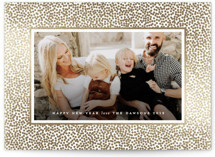 Each of our modern holiday cards is fully customizable with your favorite family photo and personalized greeting. 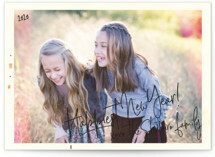 Or, select one of our beautiful no photo designs for your year-end update. 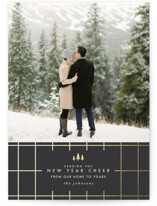 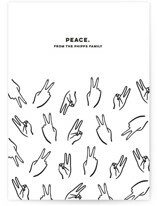 All of our holiday cards are available on your choice of our premium paper selections. 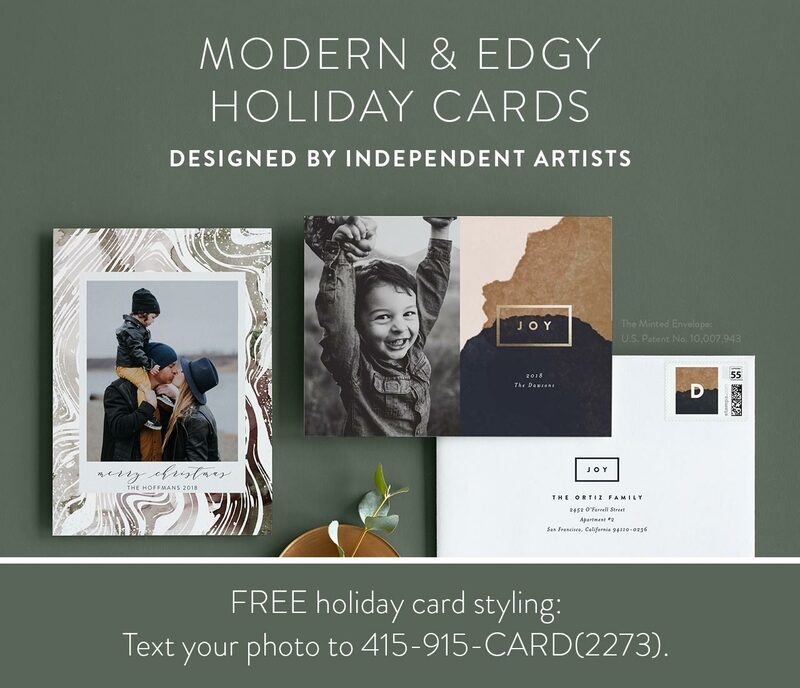 Unsure when to send your modern holiday cards? 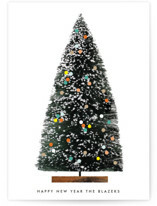 In general, aim for early December at the latest. 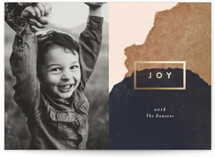 The earlier you order them, the more time you have to sit back and enjoy your hot cocoa, and the longer your recipients have to enjoy and display them. 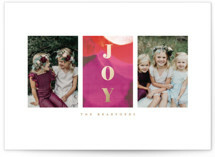 Order your holiday cards 2-3 weeks before you’d like them to reach their recipients. 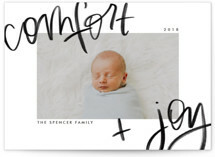 Allow 4 weeks if you’re shipping internationally. 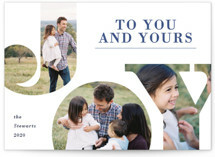 Need your cards faster? 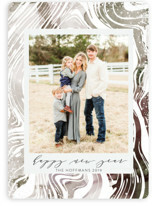 Try our Express Service!